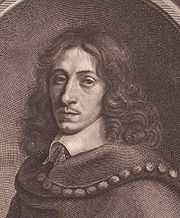 John Evelyn, the representative of the more estimable part of the higher middle life of his time, who has so eloquently set forth the praises of the vegetable diet, also claims with Ray [John Ray the botanist] the honour of having first excited, amongst the opulent classes of his countrymen, a rational taste for botanical knowledge. Especially meritorious and truly patriotic was his appeal to the owners of land, by growing trees to provide the country with useful as well as ornamental timber for the benefit of posterity. He was one of the first to treat gardening and planting in a scientific manner; and his own cultivation of exotic and other valuable plants was a most useful example too tardily followed by ignorant or selfish landlords of those and succeeding times. It would have been well indeed for the mass of the people of these islands, had the owners of landed property cared to develop the teaching of Evelyn by stocking the country with various fruit trees, and so supplied at once an easy and wholesome food. The family of Evelyn was settled at Wooton, in Surrey. During the struggle between the Parliament and the Court he went abroad, and travelled for some years in France and in Italy, where he seems to have employed his leisure in a more refined and useful way than is the wont of most travelling countrymen. He returned home in 1651. At the foundation of the Royal Society, some ten years later, Evelyn became one of its earliest Fellows. His first work was published in 1664, Sylva; or a Discourse of Forest Trees and the Propagation of Timber. Its immediate cause was the application of the Naval Commissioners to the Royal Society for advice in view of the growing scarcity of timber, especially of oak, in England. A large quantity of the more valuable wood now existing is the practical outcome of his timely publication. In 1675, appeared his Terra: a Discourse of the Earth Relating to the Culture and the Improvement of it, to Vegetation and the Propagation of Plants. The book by which he is most popularly known is his Diary and Correspondence, one of the most interesting productions of the kind. Besides its value as giving an insight into the manner of life in the fashionable society of the greater part of the seventeenth century, it is of importance as an independent chronicle of the public events of the day. The work which has most interest and value for us is his Acetaria (Salads, or Herbs eaten with vinegar), in which the author professes his faith in the truth and excellence of the vegetarian diet. Unfortunately, according to the usual perversity of literary enterprise, it is one of those few books which, representing some profounder truth, are nevertheless the most neglected by those who undertake to supply the mental and moral needs of the reading public. Evelyn held many high posts under the varying Governments of the day; and being, by tradition and connexion, attached to the monarchical party, he attracted (contrary to general experience) the grateful recognition of the restored dynasty. "And now, after all we have advanced in favour of the herbaceous diet, there still emerges another inquiry, viz., whether the use of crude herbs and plants is so wholesome as is alleged? What opinion the prince of physicians had of them, we shall see hereafter; as also what the sacred records of olden times seem to infer, before there were any flesh-shambles in the world; together with the reports of such as are often conversant among many nations and people, who to this day, living on herbs and roots, arrive to an incredible age, in constant health and vigour: which, whether attributable to the air and climate, custom, constitution, &c. should be inquired into." "This, [the alleged superiority of flesh] his learned antagonist utterly denies. Whole nations - flesh devourers, such as the farthest northern - become heavy, dull, inactive, and much more stupid than the southern; and such as feed more on plants, are more acute, subtle, and of deeper penetration. Witness the Chaldeans, Assyrians, Egyptians, &c. And he further argues from the short lives of most carnivorous animals, compared with grass feeders, and the ruminating kind; as the Hart, Camel, and the longævous Elephant, and other feeders on roots and vegetables. "As soon as old Parr came to change his simple homely diet to that of the Court and Arundel House, he quickly sank and drooped away: For, as we have shewn, the stomach easily concocts plain and familiar food, but finds it a hard and difficult task, to vanquish and overcome meats of different substances. Whence we so often see temperate and abstemious persons of a collegiate diet [of a distinct age, we must suppose], very healthy; husbandsmen and laborious people more robust and longer lived than others of an uncertain extravagant habit. And now to recapitulate what other prerogatives the hortulan provision has been celebrated for, besides its antiquity, health and longevity of the antediluvians - viz., that temperance, frugality, leisure, ease, and innumerable other virtues and advantages, which accompany it, are no less attributable to it. Let us hear our excellent botanist Mr. Ray." "To this might we add that transporting consideration, becoming both our veneration and admiration of the infinitely wise and glorious author of nature, who has given to plants such astonishing properties; such fiery heat in some to warm and cherish, such coolness in others to temper and refresh, such pinguid juice to nourish and feed the body, such quickening acids to compel the appetite, and grateful vehicles to court the obedience of the palate, such vigour to renew and support our natural strength, such ravishing flavour and perfumes to recreate and delight us; in short, such spirituous and active force to animate and revive every faculty and part, to all the kinds of human, and, I had almost said heavenly capacity. "What shall we add more? Our Gardens present us with them all; and whilst the Shambles are covered with gore and stench, our Sallets escape the Insults of the summer-fly, purify and warm the blood against winter rage. Nor wants there variety in more abundance, than any of the former ages could shew." In short, so very many, especially of the Christian profession, advocate it [the bloodless food] that some, even of the ancient fathers themselves, have almost thought that the permission of eating flesh to Noah and his sons, was granted them no otherwise than repudiation of wives was to the Jews, namely, for the hardness of their hearts, and to satisfy a murmuring generation." Not that I impute it only to our eating blood; but I sometimes wonder how it happened that so strict, so solemn and famous a sanction_ not upon a ceremonial account; but (as some affirm) a moral and perpetual one for which there seem to be fairer proofs than for most other controversies agitated among Christians - should be so generally forgotten, and give place to so many other impertinent disputes and cavels about other superstitious fopperies, which frequently end in blood and cutting of throats. The tract Samuel Hartlib, entitled, A Design for Plenty, by a Universal Planting of Fruit Trees, which appeared during the Commonwealth Government, no doubt suggested to Evelyn his kindred publication. Hartlib (of a distinguished German family) settled in this country somewhere about the year 1630. By his writings, in advocacy of better agriculture and horticulture, he has deserved a grateful commemoration from after-times. Cromwell gave him a pension of £300, which was taken away by Charles II., and he died in poverty and neglect. It was to him Milton dedicated his Tractate on Education.